Discuss the CEQA process for evaluating impacts to historic resources, implementing appropriate mitigation measures, and more. This program is tailored towards attorneys interested in CEQA case law as it pertains to historic properties. Identify the start-to-finish CEQA review process from initial study, to EIR, to mitigation. Includes 3 MCLE, AIA, and AICP Continuing Education Units. 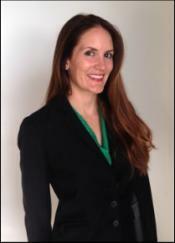 Amy Minteer, Esq., Chatten-Brown & Carstens. Amy Minteer is a partner at Chatten-Brown & Carstens, a public interest law firm located in Hermosa Beach, focusing on environmental, land use, municipal and natural resources law. Amy primarily represents environmental and community groups and non-profit organizations in their pursuit to protect and preserve the natural environment, historic resources and public health. Much of her practice involves litigation under the California Environmental Quality Act. She has also brought litigation under the California Endangered Species Act, National Environmental Policy Act and Section 4(f) of the Department of Transportation Act. Amy worked extensively on CEQA litigation that ultimately resulted in the preservation of the historically significant Lincoln Place apartment complex. She was lead counsel for the successful petitioner in the CESA case Center for Biological Diversity v. Fish & Game Comm. (2008) 166 Cal.App.4th 597. She also represents historic preservation groups throughout the state, including the Palm Springs Modern Committee in its quest to maintain the heritage of modern architecture in Palm Springs and the West Adams Heritage Association in its efforts to protect one of the oldest and grandest neighborhoods in Los Angeles. Amy currently serves on the California Preservation Foundation’s Board of Trustees, co-chairing the organization's Advocacy Committee. She also has written articles and frequently lectures on environmental law and historic preservation. Amy holds an undergraduate degree in natural resources and environmental sciences from the University of Illinois and obtained her Juris Doctorate from the University of Michigan. She is admitted to practice in California, the Eastern and Central Federal District Courts in the State of California, and the United States Ninth Circuit Court of Appeals. Deborah Rosenthal, Esq., FAICP, FitzGerald Yap Kreditor LLP. Deborah is a partner with more than 25 years of experience in Land Use, Real Estate, Natural Resource and Environmental Law. Ms. Rosenthal devotes her practice to land use, development and environmental law. She advises landowners on all aspects of development in California, from pre-acquisition due diligence review through entitlement processing to post-approval court challenges. A major portion of her practice is devoted to California Environmental Quality Act (CEQA) compliance, land use (entitlement) processing, and compliance with natural resource laws at all levels of government. She is well known for her expertise in historic preservation, including rehabilitation projects, complex public benefit negotiations and unusual title issues, including easement disputes. She is accomplished in coordinating large private development programs, guiding clients through multiple layers of regulation, including wetlands, endangered species, habitat planning, mitigation banking, water supply, flood management, coastal issues and inverse condemnation. She frequently leads teams of specialized experts in designing and documenting compliance with environmental regulations, ensuring that technical information is integrated in the approvals. Although most of her clients have been residential developers, she has successfully represented large commercial and industrial developers in southern California for more than 20 years. She is also a frequent speaker and writer on land use and entitlement issues nationally. 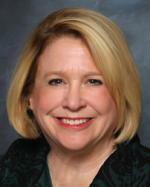 Susan Brandt-Hawley, Esq., Brandt-Hawley Law Group. Attorney Susan Brandt-Hawley, King Hall UC Davis ’77, represents public interest preservation groups in CEQA cases statewide from her offices in Sonoma County. Her environmental cases have contributed to precedent in the Court of Appeal and the California Supreme Court. She received the 2001 California Lawyer of the Year award in environmental law from California Lawyer and has been named repeatedly to the Daily Journal's lists of California "top women litigators." She is a member of the California Academy of Appellate Lawyers.